and black ginger. Bangle plant is implied in empon-empon (Java) spices. Has specialty characteristic as an anti-inflammation that is stronger, also as an anti-queasiness and anti-vomit. And what is more, bangle also have benefit as a pain abating agent and smoothen blood stream. 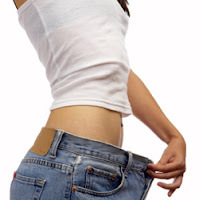 That is way bangle is effective to recover a skin cut of surgery and also effective as a weight loss agent. After the body condition is possible/recovered, help with do some exercises regularly as jogging, Sit-ups, etc, to make your weight loss program more effective.